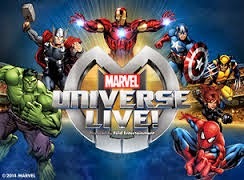 Marvel Universe Live is a Theatrical Production stemming from the successful Marvel Studio Based Films. 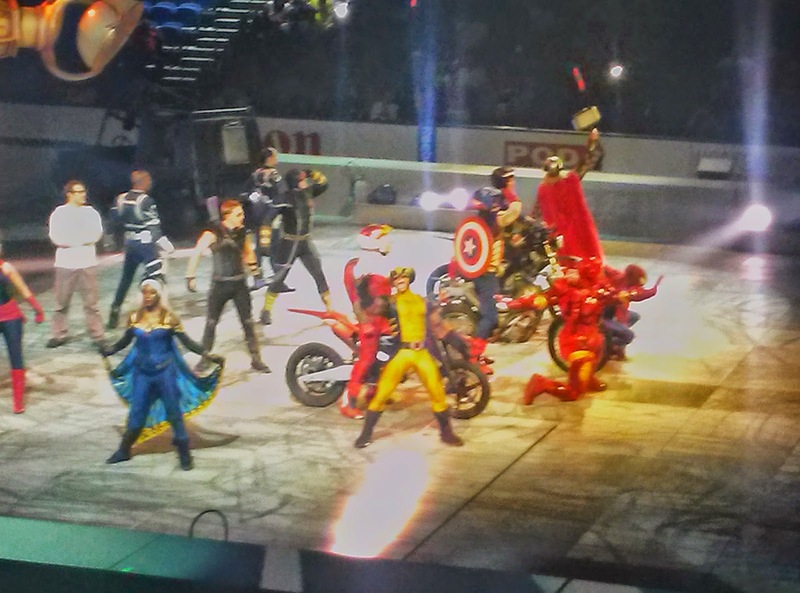 The show focuses on The X-Men, Avengers, and Spiderman (Sorry No Guardians). The script takes pieces from past movies and combines them to produce a decent show. Be warned, this is not an adult created event. The target audience are the 3 -13 years old and their parents who knocks them over for a seat. My son is 11 and he consistently mentioned wiring to support the actors whole performance = bored. 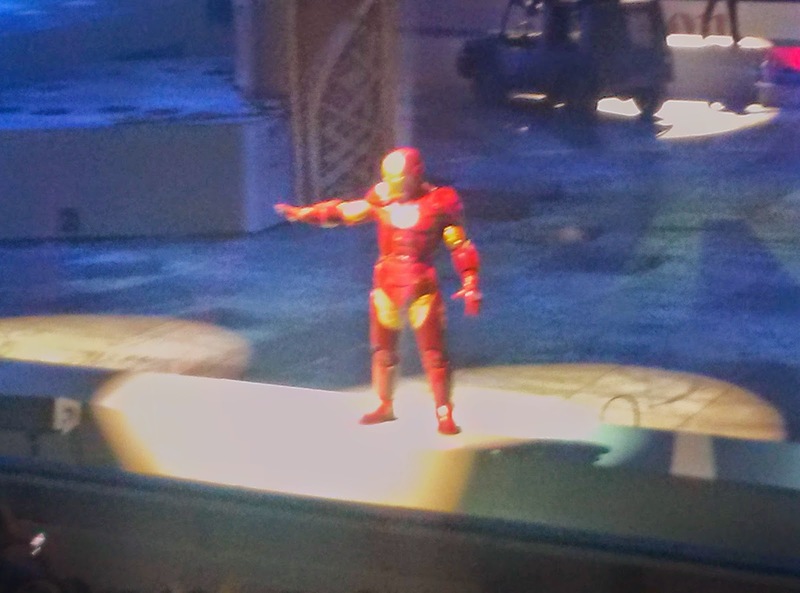 The are no slow spots during the show. I do suggest to make sure to be on time because our show was 3:30pm and it is punctual. 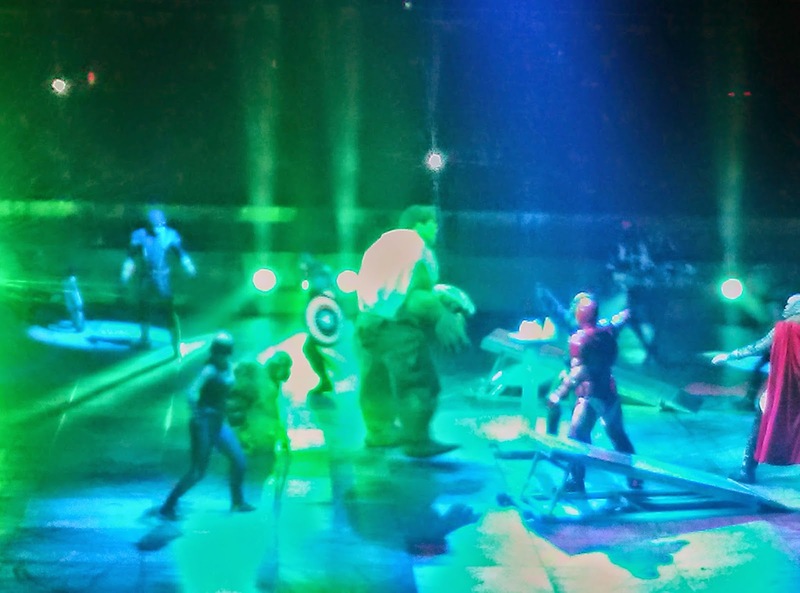 There is a 15 minute intermission allowing for breakdown and build up of the stage.